There were no "buts" about it. Clayton Kershaw was a stud Tuesday. As Joe Buck said on the broadcast, that’s been the aside with Clayton Kershaw. He’s unquestionably the best pitcher in baseball. Yeah, but the postseason. Whatever your feeling is on Kershaw, his playoff numbers coming into 2017 did not match the regular season dominance. Kershaw had largely pitched well in October leading into Tuesday night. Yeah, but he had allowed six home runs in three starts. Yeah, but he had 25 runs from his offense in those three games. On Tuesday, there was no need for qualifiers. Clayton Kershaw was sensational over seven innings as the Dodgers took Game 1 of the World Series 3-1 over the Astros. He struck out 11 without walking a batter, allowing just a run on three hits. All against a Houston team that put up historic offensive numbers in the regular season. Dallas Keuchel pitched well for Houston, but the two home runs he surrendered were too much in a duel against Kershaw. He was ambushed to start, as Chris Taylor took the first pitch he threw 447 feet out to left field to give the Dodgers an early lead. The Astros tied the game in the fourth inning on an Alex Bregman solo shot, but that was the only blemish on Kershaw’s line. The Dodgers had more opportunities against Keuchel, but Houston’s ace induced three double plays to keep the game level until the sixth inning. With two outs and nobody on, Taylor set up teammate Justin Turner with a walk. As he did in game two of the NLCS, Turner followed with a home run. Tuesday’s blast wasn’t a walk-off, but it was the difference in a 3-1 win for the Dodgers. Once again, it was the unlikely NLCS MVPs getting the job done. The only time Kershaw came close to being in trouble was the seventh inning, which has generally been his postseason kryptonite. Jose Altuve led off the frame with a single. Two batters later, Corey Seager mishandled a ground ball that should’ve resulted in an inning-ending double play. The inning went on, but all Brian McCann could muster was a fly ball to center field. Kershaw was at just 83 pitches through seven innings, but Dave Roberts turned things over to the dominant Dodger bullpen for the final two innings. Brandon Morrow and Kenley Jansen each worked a scoreless frame, extending the scoreless streak for the relievers to 25 innings. In a postseason full of offense and pitching changes, Tuesday’s affair was a brisk and clean classic. It took just two hours and 28 minutes to play, making it the shortest World Series game since 1992. It was also the hottest Fall Classic game on record, with the temperature at 103 degrees when the game got underway. 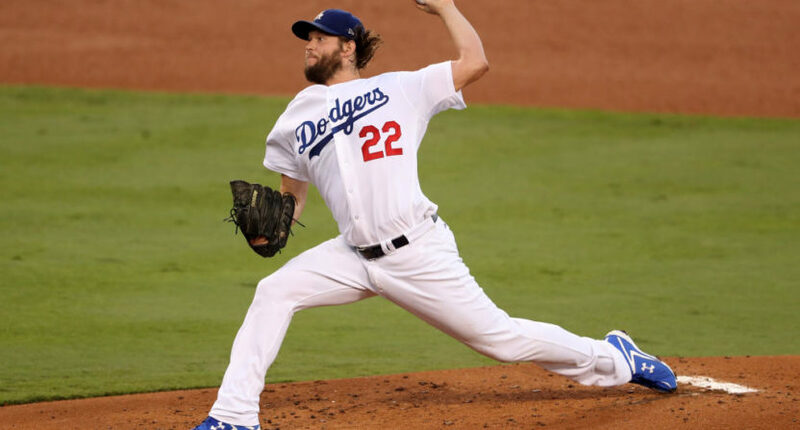 Kershaw became the first pitcher to strike out 11 without walking a batter in a World Series game since Don Newcombe in 1949 for the Brooklyn Dodgers. The 11 strikeouts were the most for a Dodger in a World Series game since Sandy Koufax fanned 15 Yankees in 1963. Turns out Clayton Kershaw can win the big one, after all.